The Church of the Holy Spirit (Danish: Helligåndskirken) in Copenhagen, Denmark, is one of the city's oldest churches. The first abbey in Copenhagen was a Franciscan monastery founded in 1238, just 12 years after the death of Francis of Assisi. Prior to that, Archbishop Eskil had founded two Cistercian monasteries, Esrom Abbey and Herrevad Abbey. Typically for the order, they had been founded at more remote locations in Northern Zealand and Skåneland. At first, the new institution in Copenhagen was more of a hostal and workshop for travelling monks than a monastery proper. It was expanded on a number of occasions and remained the only monastery and a central part of the city's life for the next 250 years. In 1296, a hospital was built by Roskilde Bishop Johannes Krag who was member of the powerful Krag-Hvide noble family. Johannes Krag's strict rule over the city had brought its population to an uprising. They attempted to storm Bishop's Palace at Slotsholmen and as part of a settlement, Krag agreed to build what was known as a House of the Holy Ghost. Such houses were facilities which cared for the sick, the poor and the old, more refuges for the weak and disabled than hospitals in the modern sense of the word. The construction of the new building was to be paid for by the bishop and the citizens in equal shares. For its support, an annual ground rent was assessed all properties. Over the years, the hospital also received its own endowments, mainly of property, which provided income for its support. Next to the hospital a small church was built although it is not known exactly when it was added to the complex. In 1469, King Christian I transformed the hospital into an abbey. Later, on his journey to Rome in 1474, Pope Sixtus IV acknowledged it as an institution under the Order of the Holy Ghost, with Santo Spirito in Rome as inspiration and mother church. The abbey consisted of four wings around a courtyard. Of these the present-day church has evolved from the south wing while the House of the Holy Ghost is the former west wing. 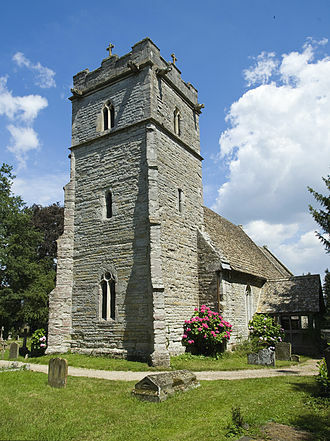 Originally the church did not have a tower. Construction of a tower was commenced in 1520 but before long the Reformation brought things to a standstill and in 1530 the abbey was decommissioned. After the reformation the church was converted into a parish church. At the initiative of Christoffer Valkendorff, at that time Governor of Copenhagen, work on the tower was resumed in 1582. Brickwork was continued in another bond, making the transition between the old and the new part of the tower easily detectable. The tower was topped by a spire mounted in August 1594. It is attributed to Hans van Steenwinckel the Elder although no clear documentation exists. The church burned in the Copenhagen Fire of 1728. ^ a b "Historie". Helligåndskirken. Archived from the original on 2007-02-02. Retrieved 2010-01-29. Brickwork is masonry produced by a bricklayer, using bricks and mortar. Typically, rows of bricks—called courses— are laid on top of one another to build up a structure such as a brick wall, Brick is a popular medium for constructing buildings, and examples of brickwork are found through history as far back as the Bronze Age. The fired-brick faces of the ziggurat of ancient Dur-Kurigalzu in Iraq date from around 1400 BC, much older examples of brickwork made with dried bricks may be found in such ancient locations as Jericho in Judea, Çatal Hüyük in Anatolia, and Mehrgarh in Pakistan. These structures have survived from the Stone Age to the present day, parts of brickwork include bricks and perpends. The bed is the mortar upon which a brick is laid, a perpend is a vertical joint between any two bricks and is usually—but not always—filled with mortar. An example of a co-ordinating metric commonly used for bricks in the UK is as follows, Bricks of dimensions 215 mm x 102.5 mm ×65 mm, Mortar beds and perpends of a uniform 10 mm. In this case the co-ordinating metric works because the length of a brick is equal to the total of the width of a brick plus a perpend plus the width of a second brick. There are many other brick sizes worldwide, and many of them use this same co-ordinating principle, a brick is given a classification based on how it is laid, and how the exposed face is oriented relative to the face of the finished wall. Stretcher or Stretching brick A brick laid flat with its narrow side exposed. Header or Heading brick A brick laid flat with its width exposed, soldier A brick laid vertically with its long narrow side exposed. Sailor A brick laid vertically with the face of the brick exposed. Rowlock A brick laid on the narrow side with the short end of the brick exposed. Shiner or Rowlock Stretcher A brick laid on the narrow side with the broad face of the brick exposed. The practice of laying uncut full-sized bricks wherever possible gives brickwork its maximum possible strength, in some cases these special shapes or sizes are manufactured. A second practice particularly observed in older examples of brickwork is that of building brickwork thicker than the width of any of its individual bricks, in such cases, some of the bricks may well be tied together into the depth of the wall. Sundby Church is a Church of Denmark parish church located on Amagerbrogade in Copenhagen, Denmark. 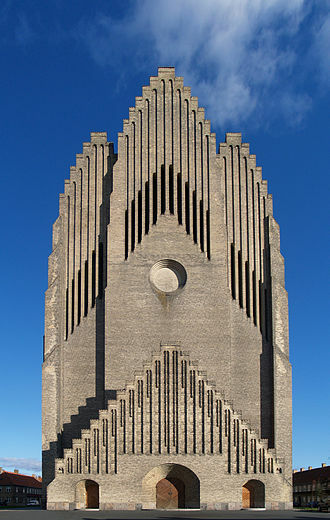 Completed in 1870 to designs by Hans Jørgen Holm, it is the oldest church on the part of Amager. In the middle of the 19th century, Sundby still belonged to the parish of Tårnby, a local committee was therefore established in 1868 to raise money for the construction of a new church, charging the architect Hans Jørgen Holm with its design. Construction began in 1869 and the new church was consecrated in 1870, nathanaels Parish was disjoined from Sundby Parish in 1899. The church was refurbished by Frederik Zeuthen and Cai Bertelsen in 1963, the church has a cruciform plan and is built in red brick to a Neo-Romanseque design. The roof is topped by an octagonal flèche, decorations include corner leseness and round arched friezes on the gables. A porch was built at the naves south-west gable in 1941 and its tympanum and bronze door were designed by the artist Max Andersen. The bronze door was installed in 1974 to mark the 100th anniversary of the church, the tympanums relief is identical to the one above the entrance of Absalon Church on Sønder Boulevard. Trinitatis Church is located in central Copenhagen, Denmark. It is part of the 17th century Trinitatis Complex, which includes the Rundetårn astronomical observatory tower, built in the time of Christian IV, the church initially served the students of Copenhagen University. It is situated at the corner of Landemærket and Købmagergade, the interior was seriously damaged in the fire of 1728 but was rebuilt in 1731. The humanistically inspired combination was from a commission of Christian IV, there were three builders, namely Hans van Steenwinckel the Younger, Leonhard Blasius, and Albertus Mathiesen. At the time of construction, the church was the second largest in the city, second only to the Church of Our Lady. As the church was intended to be used by university students and professors, it may appear oversized. The foundation stone was laid July 7,1637, and the Round Tower was completed in 1642, the church was consecrated on Trinity Sunday 1656. The Copenhagen University Library was installed in the loft in 1657. After marrying the widow of J. M. Radeck in 1685, during the fire of 1728, Trinitatis Church was not as badly damaged as other churches in the city. The roof structure was ignited, a spire crashed into the library, Church walls and vaults withstood the fire and subsequent repairs did not decisively change the churchs appearance. A new cornice and spire were required, the new roof was covered with black glazed tiles. New dormer windows were inserted but only in one row, the interior bases and capitals of the columns and arches were repaired. All wood furnishings were replaced, and the floor was covered with tiles from Öland, the reconstruction was in Northern Gothic-Baroque style. The church was rededicated October 7,1731 and the remains of the university library were moved again, the furnishings were renewed with an altarpiece and pulpit by Friederich Ehbisch and a large Baroque clock. The church was refurbished in 1763, the Trinitatis Complex was hit during the 1807 British bombardment of Copenhagen, and damaged by major fires. Immanuel Church is a church in the Frederiksberg district of Copenhagen, Denmark. It belongs to Københavns Valgmenighed and Vartov Valgmenighed, two Grundtvigian congregations under Church of Denmark, the building was designed by Andreas Clemmesen and completed in 1893. The church was built for the first Grundtvigian concregation in Denmark which had separated from the Vartov congregation, the congregation first assembled at a local folk high school on Cjr. Winters Vej, but soon began construction of the new church which was consecrated on 29 October 1893, the detached clock tower was designed by af R. V. Rue in 1904 and completed in 1905 together with some of the surrounding features, the church is built in large red brick of the type in Denmark known as Munkesten in a Romanesque Revival style inspired by Italian churches in Ravenna and Sienna. It is a building under a barrel vaulted roof with a semi-circular choir to the east. The round-arched entrance is located in the west gable and it has a tympanum with a glass mosaic. St. Lukes Church is a Church of Denmark church located in the Frederiksberg district of Copenhagen, Denmark. Completed in 1897 to the design of Valdemar Koch, who built several other churches in Copenhagen around that time. By the late 19th century, the population of Frederiksberg parish had grown to about 60,000 inhabitants, at the same time it was decided to divide Frederiksberg into four parishes with St. Luke’s Church as the first of the three new churches to be built. The architect Valdemar Koch was charged with the commission and he had already designed two churches in Copenhagen, Kapernaum Church in Nørrebro and Zions Church in Østerbro. Ground was broken on 26 April 1896 and the new church was consecrated on 29 May 1897 with Ostenfeld as pastor, the construction costs amounted to DKK 75–80,000. The church was expanded with a porch in 1964 which was replaced in 1995 by one designed by the firm Per Gents, St. Lukes is built in Neo-Romanesque style. It stands on a plinth, and is built in red brick with ornamental bands. The reliefs and sculptures by Thomas Bærentzen are in light-coloured stone, there is a flèche at the west end of the building. The barrel vaulted interior opens into an arcade leading to the sacristy at the eastern end, the rich interior decorations are partly made to Kochs own design and include paradise flowers which can be found in all of Koch’s churches in Copenhagen. On the walls above the windows there are fluttering angels and citations from the Gospel of Luke painted by Carl Budtz Møller in 1910, on the walls over the windows there are fluttering angels and citations from St Lukes gospel, painted by Carl Budtz Møller in 1910. The altarpiece is painted by Frans Schwartz and entitled Christ who reveals himself to his disciples, the altar table is a reconstruction from 1984 based on old oil paintings and photographs. The crucifix to the right of the altarpiece is executed in bog oak by Johannes Kragh and is a donation from 1929, the baptismal font is carved in granite from drawings by Valdemar Koch. Absalons Castle, was a fortification on the island of Slotsholmen in Copenhagen, located at the site of the Copenhagen Castle and Christiansborg Palace. According to the chronicler Saxo Grammaticus, the castle was founded by Bishop Absalon in 1167 to protect the city of Copenhagen. The castle survived for 200 years before it was destroyed in 1369 by the Hanseatic League, who first occupied and plundered it, and demolished it completely. The castle was made up by a wall, encircling an enclosed courtyard with several buildings such as the bishops residence. The ruins of Absalons Castle can be today in the subterranean excavations under Christiansborg Palace. At the death of Absalon in 1201, possession of the castle, a few decades later, however, a bitter feud erupted between crown and church, and for almost two centuries the right to possession of the castle and city was heavily contested. 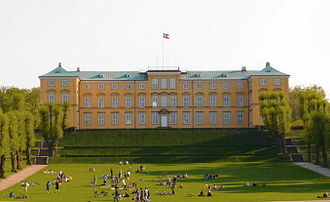 The following year, the castle was torn down to the ground as a result of the peace treaty, after the destruction of the castle, the remnants were covered by a motte, on top of which the Copenhagen Castle and Christiansborg Palace were constructed. Pope Sixtus IV, born Francesco della Rovere, was Pope from 9 August 1471 to his death in 1484. 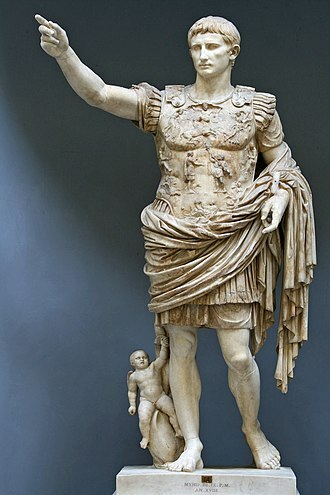 His accomplishments as pope included building the Sistine Chapel and the creation of the Vatican Archives, a patron of the arts, the group of artists that he brought together introduced the Early Renaissance into Rome with the first masterpieces of the citys new artistic age. Sixtus aided the Spanish Inquisition, though he fought to prevent abuses therein and he was famed for his nepotism and was personally involved in the infamous Pazzi conspiracy. Francesco was born to a family of modest means from Liguria, Italy and he was born in Celle Ligure, a town near Savona. 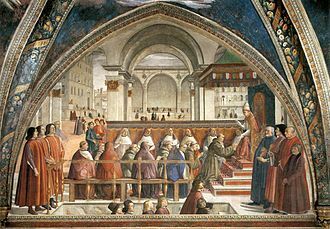 He went on to lecture at Padua and many other Italian universities, in 1464, Della Rovere was elected Minister General of the Franciscan order at the age of 50. In 1467, he was appointed Cardinal by Pope Paul II with the church being the Basilica of San Pietro in Vincoli. Before his papal election, Cardinal della Rovere was renowned for his unworldliness and had even written learned treatises entitled On the Blood of Christ and On the Power of God. His pious reputation was one of the factors that prompted the College of Cardinals to elect him pope upon the unexpected death of Paul II at the age of fifty-four. Upon being elected pope Della Rovere adopted the name Sixtus – a name that had not been used since the 5th century, one of his first acts was to declare a renewed crusade against the Ottoman Turks in Smyrna. However, after the conquest of Smyrna, the fleet disbanded, some fruitless attempts were made towards unification with the Greek Church. 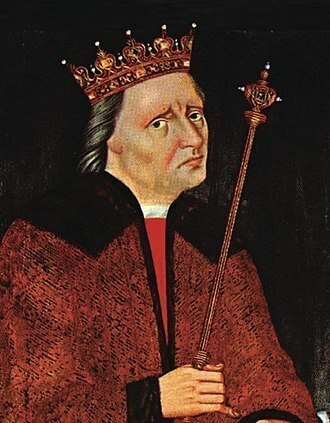 For the remainder of his pontificate, Sixtus turned to temporal issues, Sixtus IV sought to strengthen his position by surrounding himself with relatives and friends. 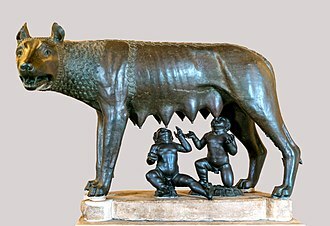 His nephew Pietro Riario benefited from his nepotism, Pietro became one of the richest men in Rome and was entrusted with Pope Sixtus foreign policy. However, Pietro died prematurely in 1474, and his role passed to Giuliano della Rovere, six of the thirty-four cardinals that he created were his nephews. Francesco Salviati, Archbishop of Pisa and an organizer of the plot, was hanged on the walls of the Florentine Palazzo della Signoria. St Bernard of Clairvaux, one of the most influential early Cistercians, seen here depicted in a historiated initial. An illumination of Stephen Harding (right) presenting a model of his church to the Blessed Virgin Mary (Municipal Library, Dijon). 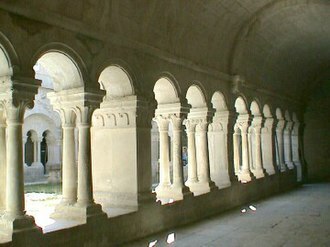 Cîteaux, c. 1125. At this period Cistercian illumination was the most advanced in France, but within 25 years it was abandoned altogether under the influence of Bernard of Clairvaux. Hans Tausen was one of the first Lutheran preachers and later bishops in Denmark. The election of Christian III was decisive for the Reformation in Denmark. Johannes Bugenhagen consecrated the first Lutheran bishops ('superintendents') in Denmark.